John Bassett, a man who thrives on challenges of any kind, is the managing general partner of the Tampa Bay Bandits and in charge of the franchise's day-by-day operation. Bassett hails from Toronto, Ontario, Canada, where his family owned the Toronto Telegram newspaper and where Bassett received early training as both a news reporter and photographer. An active sports competitor, Bassett in 1955 was the Canadian Juniors champion in doubles tennis. He was a 1959 member of the Canadian Davis Cup and Pan American teams. Tennis runs throughout the Bassett household as daughter Carling, 15, already is considered one of the world's leading female players. In addition to tennis, Bassett also is an excellent squash player, having won Ontario's championship (1965-67). In the world of business, Bassett currently serves as President of Amulet Pictures, Ltd., a producer of feature motion pictures. One of his most recent production efforts is the film Spring Fever. Bassett also owns a software computer company, a film company and a real estate firm based in Sarasota, FL. He has also been active on the ownership level in professional sports. Bassett was the owner in the World Football League of the Toronto Northmen, who later became the Memphis Southmen, perhaps the most well-known franchise in the WFL. Bassett also owned the Birmingham Bulls of the World Hockey Association. His family has held a long-standing interest in hockey and at one time co-owned the Toronto Maple Leafs of the NHL. Bassett was honored in 1973 with the Man of the Year award for Toronto's B'nai Brith Sportsman Lodge. Bassett and his wife Susan are the parents of four children and reside in both Toronto and Sarasota. Sadly, the Tampa Bay Bandits and the USFL would be Bassett's last significant sports venture. Bassett, who had fought skin cancer in his mid-30's, learned in 1984 that cancer had returned, this time in the form of two malignant tumors in his brain. 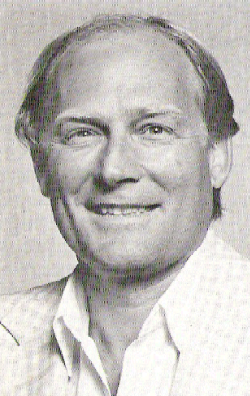 Feuding with fellow owners about the USFL's future and adamantly opposed to the league's move to a fall schedule, Bassett threatened to break away from the USFL and launch a new spring football league to replace it. In the end, racked with cancer and undergoing treatment, Bassett sold the Bandits after the 1985 season to limited partners Lee Scarfone and Tony Cunningham. On May 14, 1986 and at only 47 years old, John Bassett died of cancer. 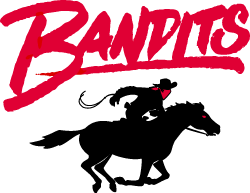 The team he founded would never play another game, and Tampa Bay Bandits Football Club, Inc. was formally dissolved by the state of Florida on October 11, 1991.